When you are moving and have recruited friends to help you…Announce your PHYSICS background and supervise the loading. The heaviest and tallest items must always go in first! BECAUSE if not, the first time the driver steps on the brakes, ALL the heavy items slide forward like a rocket and all the tallest items tip forward. You must also make sure to secure (block and brace) those tall pallets because the first time the driver steps on the gas, they will fall backwards in the truck too! 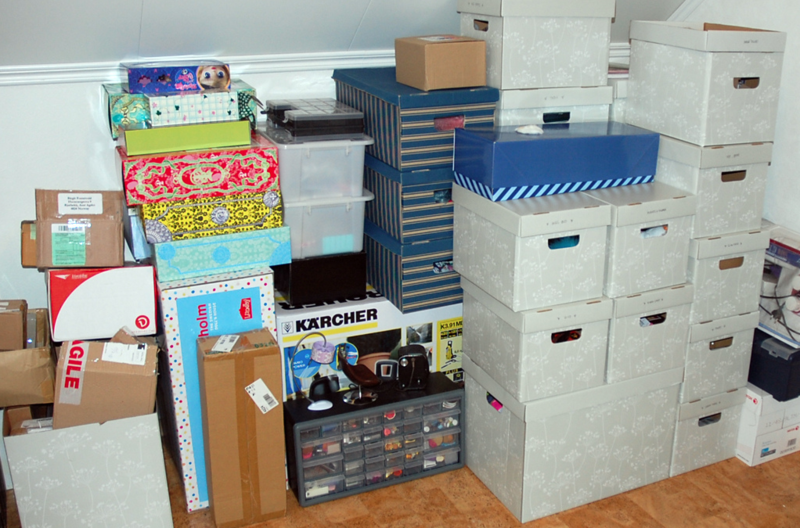 Packing your personal items – New boxes are too expensive to buy! Get free strong boxes from a nearby liquor store or find larger ones around the back of any retailer in a nearby strip mall. Skip the food stores who have weak, smelly boxes wth thin sides. When boxing your fragile items, use pillows, sheets or old clothing to cushion things for the trip. Remember boxes only need to ride without falling over during your move.